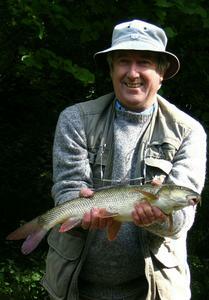 After 5 attempts (one each year) on various middle Severn venues, a delighted Grahame finally lost his barbel virginity. Thanks to both Coops and Oooh Big Gudgeon for their help and patience. A magic moment.